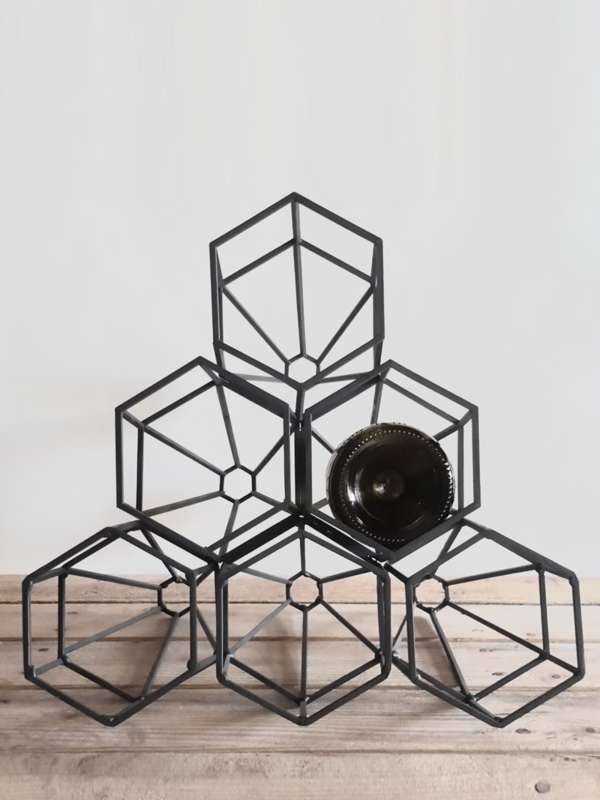 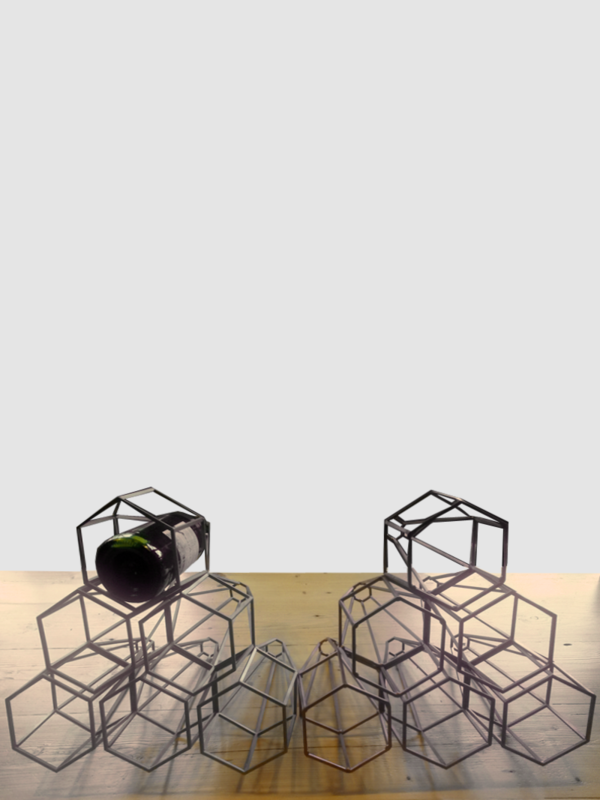 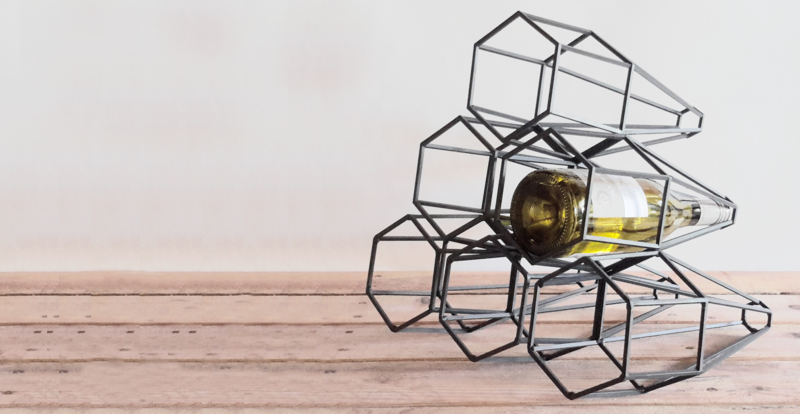 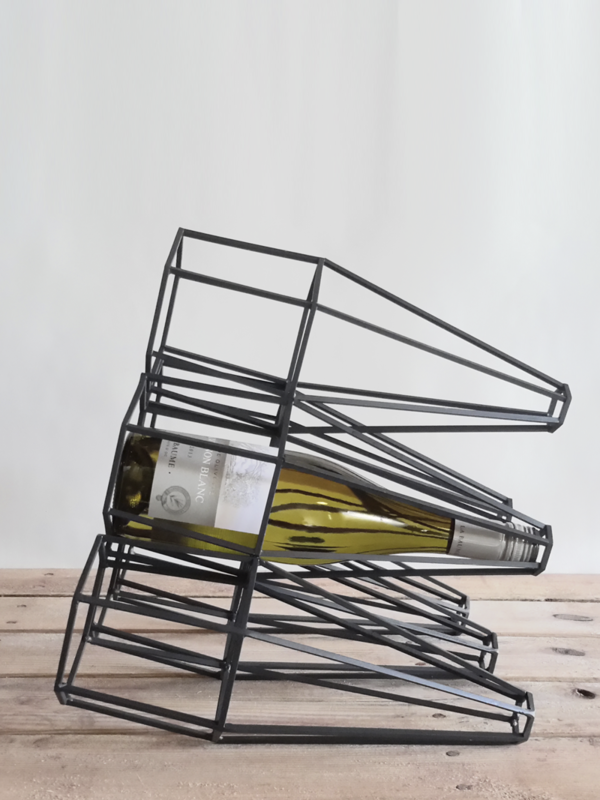 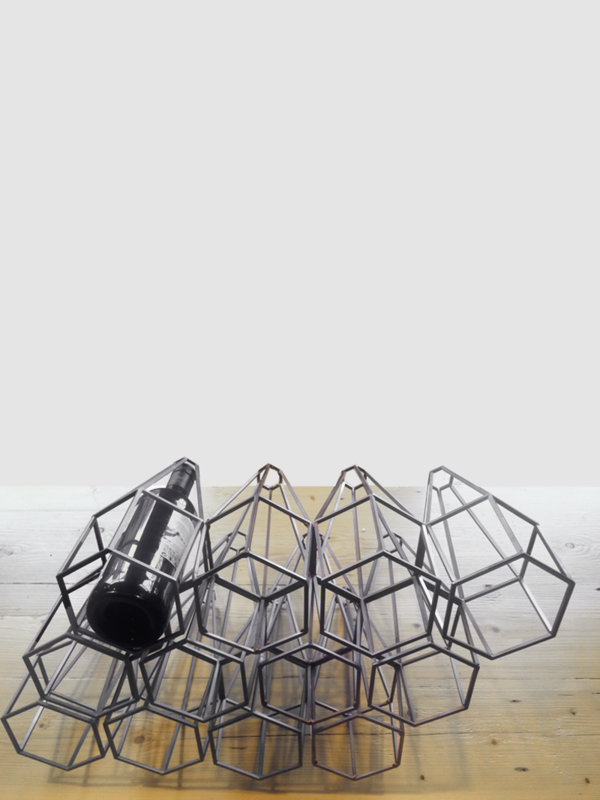 Modular wine rack system. 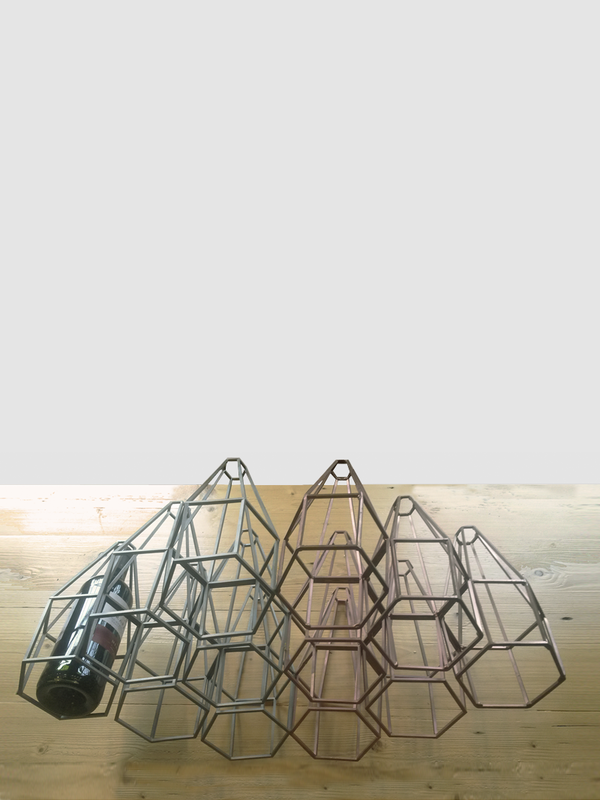 Vine is infinitely expandable and it’s possible to stack in several ways. 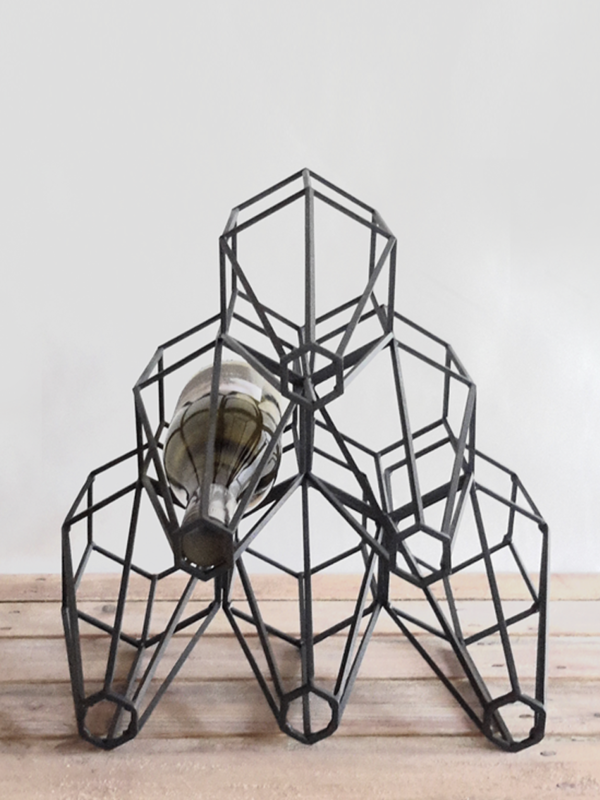 The shape is inspired by the enclosure of a champagne cork.